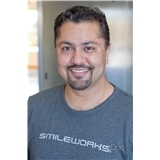 DR. ANKUR MOHINDRA (Redondo Beach) - Book Appointment Online! Our goal is to offer you the best possible oral health care in a comfortable, friendly and compassionate environment. Our enthusiastic team stands for excellence, quality, consistency and reliability. We strive to provide you with advance technological treatment utilizing modern equipment and materials. With the various treatments rendered to you, we maintain the highest standards of infection control. Your safety and peace of mind are crucial to us. As usual, the level of professionalism and genuine caring for the patients was well above average here. The entire staff makes you feel welcome and inform you each step of your journey. Whether it is a routine visit or something more emergent, they consistently treat me and my whole family with care and consideration through it all. With each explanation, Dr. Mohindra makes sure that we understand all potential treatment and options available. While going to the dentist isn't the most pleasant outing, this staff takes the apprehension out of each visit. Thank you, Dr. Mo and staff! !